The greatest test in motorsport is upon us once again: the 24 hours of Le Mans. This weekend, 60 cars will compete for the honour of winning the most gruelling and competitive of endurance races. Cosworth is right at the heart of the action, supplying electronics and powertrain solutions across no less than 43 cars taking to the Le Mans starting grid. 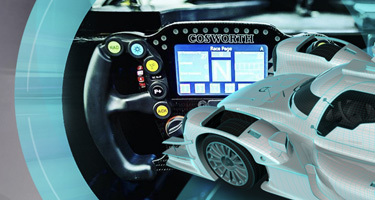 This year five LMP1 cars will run a range of Cosworth electronics products from engine control and data logging to power controllers and switch panels. Debutant Jenson Button, racing for SMP Racing in the Dallara BR1, will be in control and receiving critical information using our CCW MKII steering wheel, undertaking performance analysis with his engineers using our state-of-the-art Toolbox software. Previous winners including the likes of Jan Lammers, Andre Lotterer, Neel Jani, Bruno Senna and Oliver Turvey will all be supported by our solutions – as sole electronics supplier to all 20 LMP2 teams, Cosworth electronics will be proving their durability and reliability under extreme pressures in this competitive class. Our products aren’t just limited to the Prototype classes though. The new and striking Aston Martin Vantage, competing in the GTE Pro class, will feature a complete Cosworth electronics solution, including our Intelligent Colour Display (ICD), Central Logger Unit (CLU), and MQ12Di Engine Control Unit (ECU). 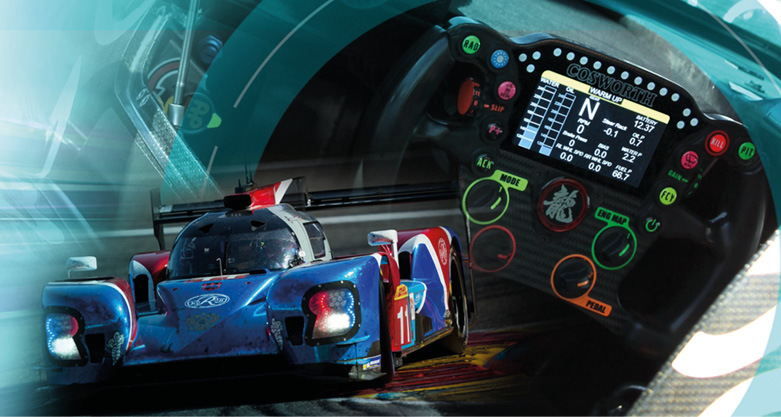 The 24 hours of Le Mans is the perfect way for us to showcase the reliability and durability of our solutions. As the longest race on the WEC calendar in both duration and length, it requires the driver and car to work together in perfect harmony. Our success at Le Mans in the past informs how we supply our products today. From our first foray as an engine suppler right through to our current powertrain and electronics offerings, we work closely with our customers to identify the best solutions for their needs to tackle the legendary endurance race. Our support engineers will be onsite to support our customers throughout the entire event, helping them to gain the maximum from our solutions and optimise their performance. All of us at Cosworth wish our customers every success in the 86th running of the 24 hours of Le Mans. For more information on our Le Mans package, you can visit our dedicated product page here.